The Big Indie Pitch is back on the road following Pocket Gamer Connects Helsinki, and is heading back to Jordan for the third year running, only this time we’re bringing Pocket Gamer Connects with us, and that means it’s time for a bumper Very Big Indie Pitch. So, come join us as we once again focus the spotlight on some of the world’s best indie mobile developers at The Very Big Indie Pitch at Pocket Gamer Connects MENA 2019 in the Jordanian capital of Amman. The unique speed dating format gives each developer three minutes (plus one minute of Q&A) with each panel of experts, meaning entrants will get real feedback from the event.  The winner will also get editorial coverage in Pocket Gamer, AppSpy and beyond, making this a great chance to get you, your studio and your game played by the world, alongside potentially winning a Steel Media marketing package to be used across our portfolio of sites and services. How it’ll work couldn’t be simpler. We’re inviting indie developers of all shapes and sizes to join us, in order to pitch their games to our teams of tame journalists. Approximately twenty teams will run the gauntlet, giving their all in quickfire four-minute pitches to demonstrate that their title is worth of the Big Indie Pitch crown and coverage in the mobile games media. Just simply, submit your details via the link below before midnight on Friday, October 25, 2019 to register your interest. Click the link below and fill in the form on PocketGamer.biz to apply for your place in the Big Indie Pitch. You must be a registered user of PGbiz before you can complete the form. The closing date for entries is Friday, October 25, 2019. The Very Big Indie Pitch is suitably placed inside Pocket Gamer Connects MENA 2019, our global mobile games industry conference and we’ve got a great deal on indie developer tickets.